I’m conscious that these posts (this is the 149th) sometimes don’t age well – they try to capture a point in time and I don’t go back to change them unless I’ve got something really wrong or, worse still, there’s a misplaced apostrophe (they’re written on an ipad, on a train or at the kitchen table, as fast as my two fingers can move, so bear with). Since my 15 December 2018 CIL Life post, the claimant in Giordano has applied to the Court of Appeal for permission to appeal, having been refused it by Lang J. Will 2019 see the Court of Appeal grapple for the first time with the joys of CIL liability? Since my 9 November 2018 An Update On CIL: Reform Promised, Meanwhile Continuing & Increasingly Expensive Uncertainties post the Government published Reforming developer contributions: technical consultation on draft regulations (20 December 2018). The purpose of the consultation is to “ensure that the draft regulations deliver the intended policy changes and do not give rise to unforeseen consequences.” The consultation runs until 31 January 2019. Supporting guidance will accompany the final regulations. As well as delivering on the proposals announced in October 2018 (I assume – I haven’t yet worked through some of the algebraic amendments), the draft regulations exempt starter homes from the levy, where the dwelling is sold to individuals whose total household income is no more than £80,000 (£90,000 in central London). The draft regulations also make a number of other clarifications to address various glitches. My 8 September 2018 What If? The Trinity One Case post commented on a situation where a developer had sought to resist a claim for an affordable housing commuted payment on the ground that the basis for calculating the payment, the Total Cost Indicator figures previously published by the Housing Corporation, had ceased to exist. I mentioned that the position could change as a result of separate litigation underway in relation to the developer’s attempt to reduce its section 106 liability by way of the section 106BA/BC procedure. Well, the position did indeed then change as a result of R (City of York Council) v Secretary of State (Kerr J, 22 October 2018). The case is of little general interest now given that it concerns the mechanism whereby developers could apply for modification or discharge of affordable housing obligations in a section 106 agreement on the basis that modification or discharge was required to achieve an economically viable development, which mechanism was brought to an end on 30 April 2016. But it will have been immense interest to the parties. Kerr J accepted Trinity One’s position that (1) its appeal against refusal of its section 106BA application was not out of time because it was sufficient for the application to have been made by 30 April 2016 and (2) the application could be made even after the development had been completed. My 31 August 2018 Market Value Minus Hope Value = ? post was written whilst the House of Commons Communities and Local Government Select Committee was taking evidence in relation to its land value capture inquiry. The committee reported on 13 September 2018 and the Government’s response was published on 29 November 2018. “The Government agrees that there is scope for central and local Government to claim a greater proportion of land value increases. The Government’s priority is delivery, in line with the Housing Minister’s commitments to provide more higher quality housing more quickly. My 9 June 2018 Judicious Review post commented on the interim report published by the Raynsford Review. The final report was published on 19 November 2018. Finally, a long time ago, in my 6 September 2016 section 123…Go! post, I commented on Holgate J’s ruling in Faraday. That judgment has now been overturned in R (Faraday Development Limited) v West Berkshire Council (Court of Appeal, 14 November 2018) – see the Landmark Chambers summary. Plenty happened in planning law in 2018, despite much political focus being away from domestic issues. What will 2019 bring? Feel free to subscribe to this blog to get one quick take a week on what seems interesting to me at least. (And, shameless plug, do subscribe as well to Town Legal’s weekly updates of planning law cases and/or of Planning Inspectorate appeal decision letters). Rightly, no-one ever believed section 1(1) of the Localism Act 2011: “A local authority has power to do anything that individuals generally may do”. Section 2 (“boundaries of the general power”) put paid to that. There are many good things which authorities might do, if they were allowed. In some circumstances, this would be to dispose of their interests in land at an undervalue, where this would unlock viable development, or would for example secure more affordable housing. It is certainly disappointing that the £2m cap hasn’t been increased, or that the Secretary of State has not set out any guidelines that encourage deals at an undervalue above the threshold which promote well-being, particularly in the form of increased delivery of housing, especially affordable housing. By coincidence, since the article was written, on 26 August 2016 Holgate J delivered judgment in R (Faraday Development Ltd.) v. West Berkshire Council & Anor where he rejected a claim by a competing developer that West Berkshire’s development agreement with St Modwen in relation to the comprehensive regeneration of the London Road Industrial Estate in Newbury was in breach of section 123. Landmark Chambers’ summary sets out the judge’s distillation of the principles to be applied in determining when a court should intervene in relation to the application of section 123. After a detailed examination of the deal that had been negotiated he rejected the section 123 challenge. It was common ground between the parties that if that ground of challenge failed, so too would the allegation fail that the deal amounted to unlawful state aid (ie a distortion of competition by favouring any party by virtue of the support provided by the Council to that party). The case should give comfort to developers and authorities alike that the pitfalls of section 123 along with equivalent risks arising from EU state aid and public procurement legislation can be safely navigated. However, challenges on these grounds remain an ever-present threat, whether for instance the state aid complaint that has been brought in relation to the London Borough of Hammersmith and Fulham’s arrangement with CapCo in relation to the Earls Court development and the successful challenge (Stephen Ashworth acting for the claimant…) of Winchester City Council’s revised development agreement with Thornfield for the now possibly defunct Silver Hill project in R (on the application of Gottlieb) v Winchester City Council (Lang J, 11 February 2015). The need for some common-sense over section 123 is illustrated by the interesting wrinkle in London in relation to section 123: it doesn’t apply to Transport for London, because it is not a “principal council” for the purposes of the section, even though Schedule 11 paragraph 29 of the Greater London Authority Act 1999 does require that when it engages in development, either directly or through a subsidiary, it must do so “as if it were a company engaged in a commercial enterprise”. So it can dispose of land at an undervalue (subject to avoiding state aid problems) but can’t take an equivalently enlightened position when developing in its own right or through a subsidiary! These complications will no doubt constrain how the London Mayor delivers on his promise of increased levels of affordable housing on Transport for London land, the subject of a 26 August 2016 EGi piece. It would of course be equally useful to see a lighter touch state aid and public procurement regime, but that relies on rather larger political cogs. 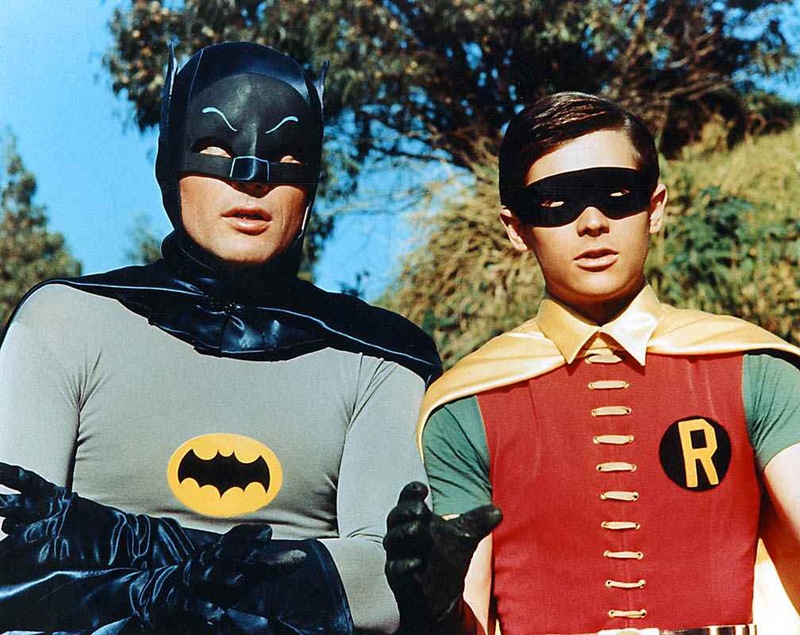 Batman and Robin in happier times. Author simonicityPosted on September 6, 2016 Categories Housing, Public procurement, State aid, Uncategorized3 Comments on Section 123…Go!